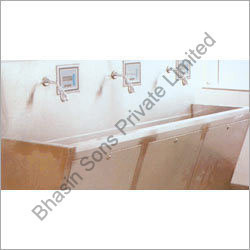 We are a leading Exporter of hand wash basin stand and scrub sink station from New Delhi, India. Hand Wash Basin Stand (double/single basin) isone of the best product, we are manufacturing and exporting all over the world. These stands are made up of high-grade metal alloys. It is extraordinarily featured with two basins along with movable support. This product is used near at the operation theatres for the convenience of the doctors. Blood tests and other removed human parts are placed at this basin. With wide and industrial experience we are able to offer premium quality Scrub Sink Station around the world. We offer these unique design sink stations, which are highly efficient and rust-proof. It is used widely used in operation theaters in hospitals for scrub-up before operations and surgeries. This is manufactured by use of rust-free stainless steel and seamless efficient welded construction. These are completely automated provided with built-in timers and bio-sensors for hands-free operations. 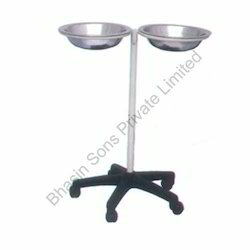 Looking for Surgical Sinks ?